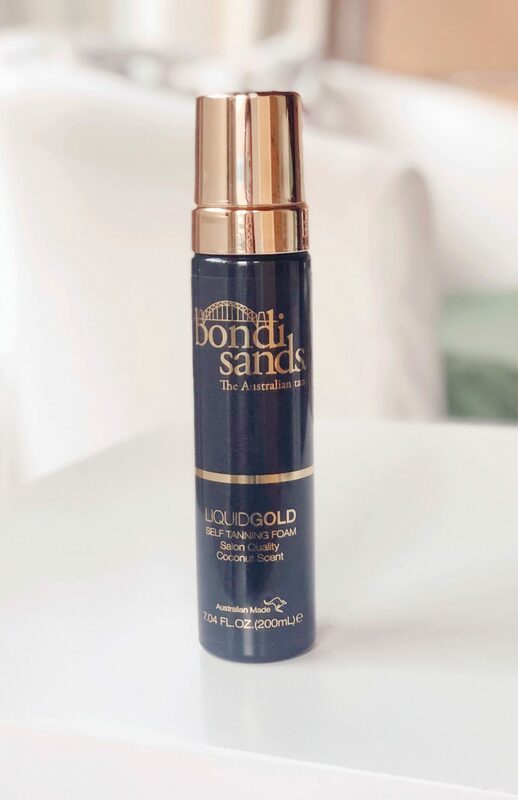 Self-tanner is one of my favourite beauty products and I’ve loved Bondi Sands for a long time. It was one of the first tans I tried and for the last four years or so, I’ve made sure I always have a bottle in my beauty cabinet. When I realised there was a Bondi Sands foam on the market that I hadn’t tried yet, I headed straight to Superdrug. So how is it different to the original Bondi Sands foam? This version does not require washing off. It just needs to sit on your skin for at least 6 hours, and is enriched with Argan Oil to hydrate your skin. I like to apply whichever fake tan I am using before I go to sleep and shower it off the next day. I prepped my skin well ahead of using this new tan. I exfoliated and moisturised daily in the lead up to application so my skin would be as hydrated as possible. 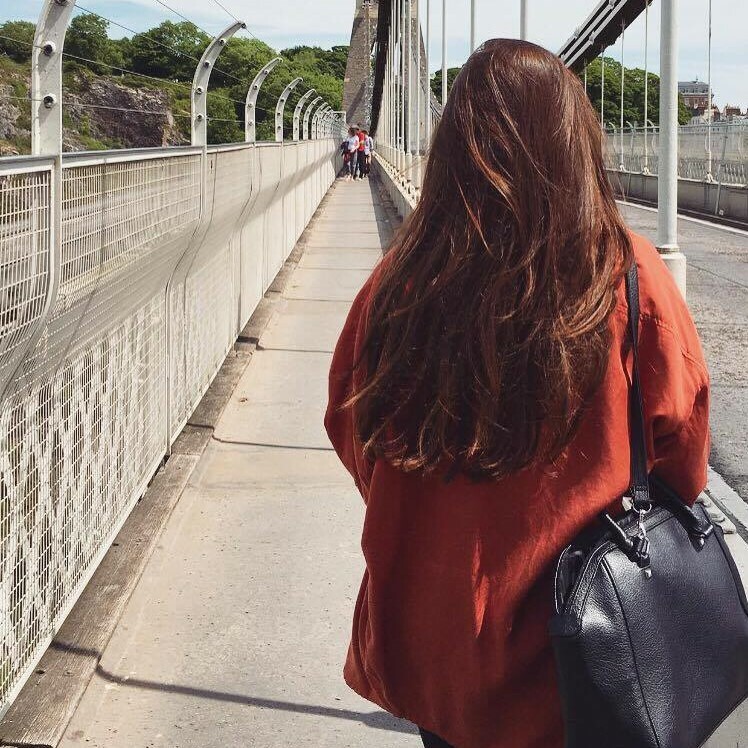 On the night I applied the tan, I showered without using shower gel or moisturiser (these can affect the finish of the tan) and used the Bondi Sands velvet tanning mitt, which I purchased with the tan. Side note: The Bondi Sands mitt is incredible. For less than £5, it felt so much smoother to apply the tan with, and was much thicker to avoid any tan seeping onto your hand. The double-sided velvet has pretty much convinced me not to buy the cheap tanning mitts again. I’m converted. Using four pumps for each leg and then two pumps for all other body sections, I applied using sweeping motions, but was sure to go over my body thoroughly, as the guide colour for this tan doesn’t show up very much, meaning you need to be careful about where you apply it. I learnt this when I woke up the next morning with very dark hands after going over them with the mitt several times because they didn’t seem to be darkening. Lesson learned for next time! The formula has a similar coconut scent to the rest of the range. I can completely vouch for the fact that it felt more hydrating than other tans that I have used. I guess this is the Argan Oil working its magic. It was comfortable to sleep in and didn’t transfer onto any of my bedding. The best part about this tan was that I lost absolutely none of the colour when I showered the next morning. The water ran clear – the tan had stayed on my skin And that’s coming from someone who has trouble getting tan to ‘stick’. For me, the colour of this tan comes out looking the same as the ‘Dark’ foam. Pretty good if you ask me.Whilst I haven’t tried double layering it yet, I think two coats of this tan would give you a really deep colour if that’s the look you like to achieve. As a very pale-skinned girl, I think I’ll save trying this until summer! I was so pleased with how even the colour of this came out – no patches at all. ALthough I do believe a lot of this comes down to prepping your skin in the days leading up to application. I was most intrigued about the longevity of the Liquid Gold foam. I applied this on a Friday evening and at the time of writing, it is the following Wednesday. At the rate this is going, I think it’ll be the weekend before I’ll want to scrub it off and reapply. Apart from fading on my hands (evenly, I should add), the tan still looks pretty flawless apart from some fading on my inner elbows. It’s no surprise though, as this is where I’m prone to eczema. I have very dry skin, and to get at least a solid five-to-six days out of a fake tan is impressive. I know that there is a spray version of the Liquid Gold formula that came out a few years ago. I’m afraid I can’t compare the two as I’m only really a fan of using foam formulas. I’ll also add an update to this post to let you know how I get on scrubbing it off and whether my opinion changes anymore with continued use. Overall, I’d have to give this tan 9/10 so far. It’s worth the price, smells like holiday and provides you with a deep, holiday glow. I’m excited to keep using it. Have you tried the Liquid Gold foam?